Lately, I’ve been a muffin making machine. I mean, I can’t even begin to count how many muffins are in our freezer right now. Some of them are recipes gone wrong that luckily my husband eats without any complaints. Others are recipes gone right. That’s both the beauty and frustrating thing about recipe testing. Sometimes the recipe turns out the first time, while others require numerous attempts to get it right. 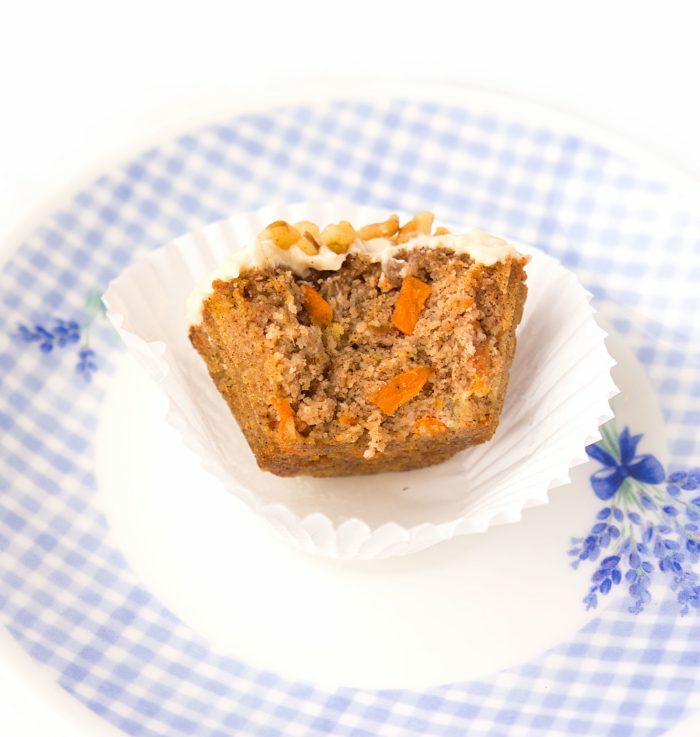 One of the muffin recipes that just so happened to go right were these Flourless Carrot Cake Muffins. They were nice and moist, the flavour and level of sweetness were just right, and the cream cheese frosting? 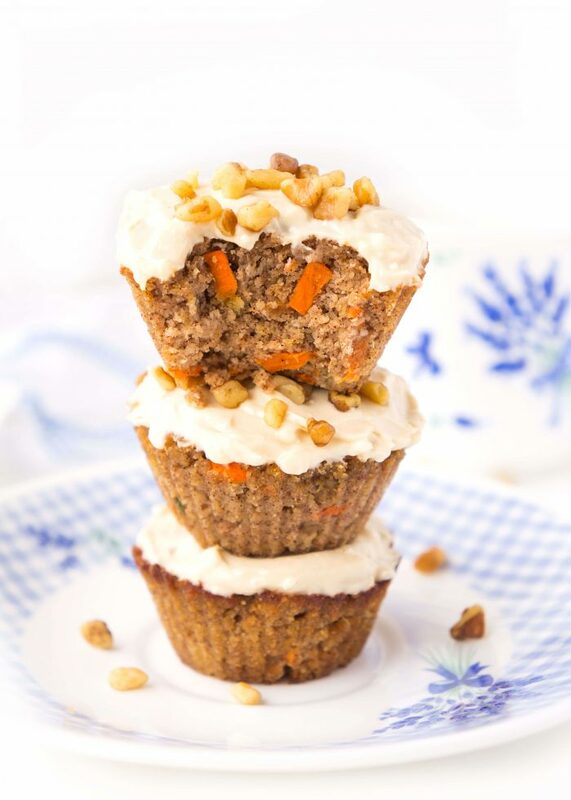 If you love carrot cake, these muffins are definitely for you! Now when it comes to making these muffins, there are just a few things to keep in mind. 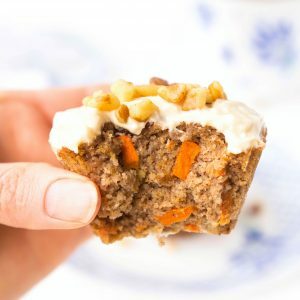 If you snuck a peak at the ingredients list, you probably noticed that there is crushed pineapple in these carrot cake muffins. That is one of the ingredients that makes these muffins so unique, moist and delicious! There are a couple of different options for the pineapple. First, you can simply buy the canned crushed pineapple, which is what I did for ease and convenience. You’ll just want to make sure that you strain all of the liquid REALLY well. I simply packed the desired amount of crushed pineapple into a measuring cup and pressed down on it as hard as I could over the sink to release the moisture. By squeezing out as much as possible, it will reduce the likelihood of the muffins being too moist. The second option is to chop up fresh pineapple REALLY finely, squeezing out any additional moisture. Either method will work out just fine! On a different note, for the frosting, place the cream cheese at room temperature for about 20 minutes or so before mixing it with the remaining frosting ingredients. This will get it soft enough so that it’s easy to combine and spread onto each muffin. Those are the major suggestions that I wanted to point out. So remember how I said that I have a TON of muffins in my freezer right now? Yeah. 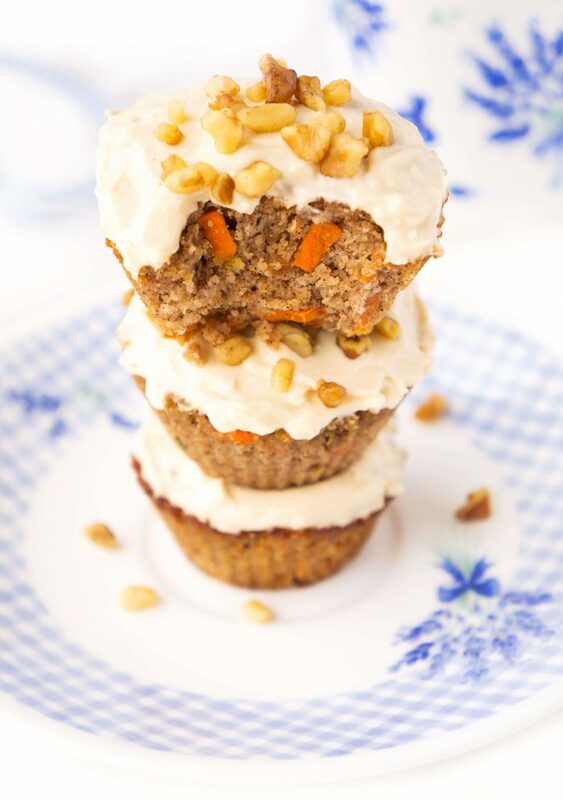 I probably have at least 30 of these carrot cake muffins. That’s one of the reasons why I love these muffins. You can make a batch and pop them right into the freezer frosting and all. They make a great snack for on the go and my husband especially likes to take them to work. If you’d prefer not to freeze them right away, you can keep them in the fridge for up to three days. If at that point, you still have extra muffins left over (which I highly doubt you will! ), then you can pop them in the freezer stored in an air-tight container. Simply place in the fridge or at room temperature for several hours to thaw out or warm in the microwave if you want to have one right away. 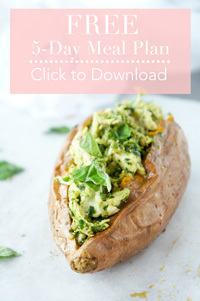 A quick and easy snack or treat, just waiting for you to devour! They contain both carrots and pineapple, which totally ups the nutrient factor. Think vitamin C, vitamin A, potassium and fibre. Just think about it. How many muffins are loaded with fruits AND veggies? These muffins are nice and moist and slightly more dense than your typical muffin. I actually love this texture because it reminds me of an apple or coffee cake. SO good! They are lower in sugar than your typical muffin. 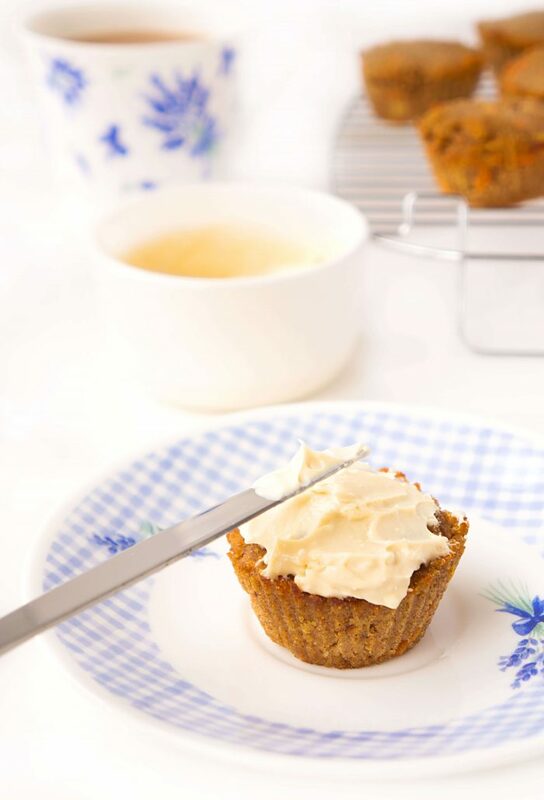 Because the crushed pineapple is added to the muffins, it adds a nice natural sweetness and flavour which means that you can use less added sugar. Once again, those fruits and veggies are here to save the day! 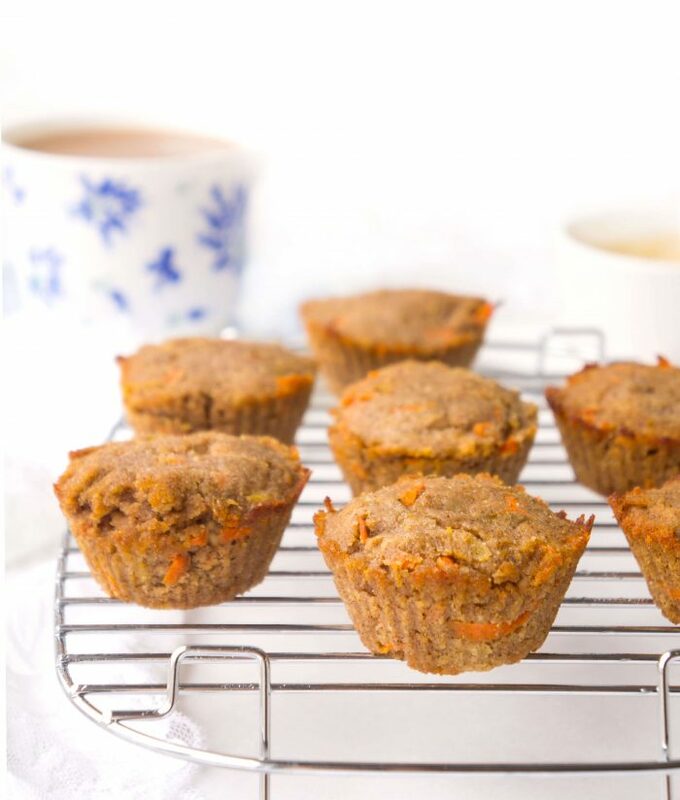 These muffins are free of your typical refined white flour and are instead primarily made up of almond and coconut flour, which means that they’re lower in carbohydrates and a better source of fibre and healthy fats. One of my favourite reasons to use these flours in baking, along with the fact that I love the taste and texture they provide! They’re also incredibly versatile. You can either eat them plain if you want a dairy-free option or top them with the delicious cream cheese frosting and a sprinkle of chopped walnuts. Beyond all of the other factors listed, these muffins are just plain tasty. It really is that plain and simple. Preheat oven to 350 degrees F. Grease muffin tin or line with 10 silicone baking cups. In a large bowl, add the almond flour, coconut flour, baking soda, salt, cinnamon and nutmeg. Mix together, making sure to break up any chunks. Add the eggs, coconut oil, maple syrup, crushed pineapple, and carrot. Mix until evenly incorporated. The batter will be pretty thick. Evenly distribute the mixture among 10 muffin cups or silicone cups. Use a spatula to smooth the surface. Bake for 17-20 minutes or until inserted toothpick comes out clean. Allow to cool. Meanwhile, add the cream cheese, maple syrup and vanilla to a small bowl and mix together until smooth and creamy. Using a knife, smooth frosting over the top of each muffin. Top with a sprinkle of chopped walnuts, if desired. Bake for 17-20 minutes or until inserted toothpick comes out clean. 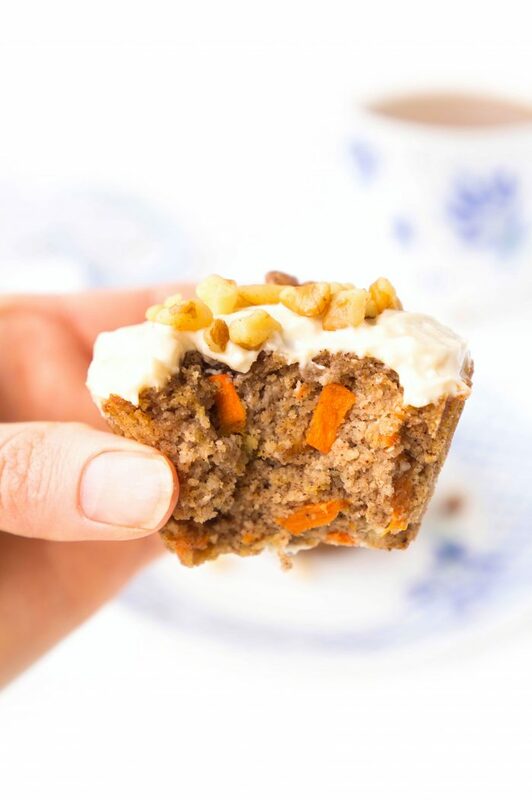 If you have a chance to try out these Flourless Carrot Cake Muffins, I’d love to see your pics! Tag me on instagram @hauteandhealthyliving and use the hashtag #hauteandhealthy!